My friends, Johnathan and Beverly, are the cutest couple. Picture them digging through, not only a tub of yarn, but a tub of alpaca, looking for a skein of not only sock weight, but a skein in turquoise. Every time I think of Johnathan up to his elbows in yarn looking for sock weight turquoise alpaca it brings a huge smile to my face. 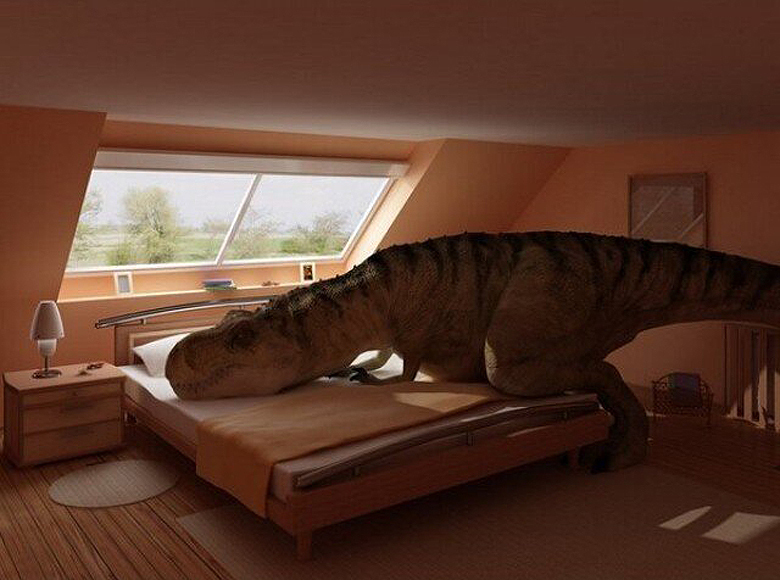 It’s the same smile I get when I picture T-rex trying to make a bed. 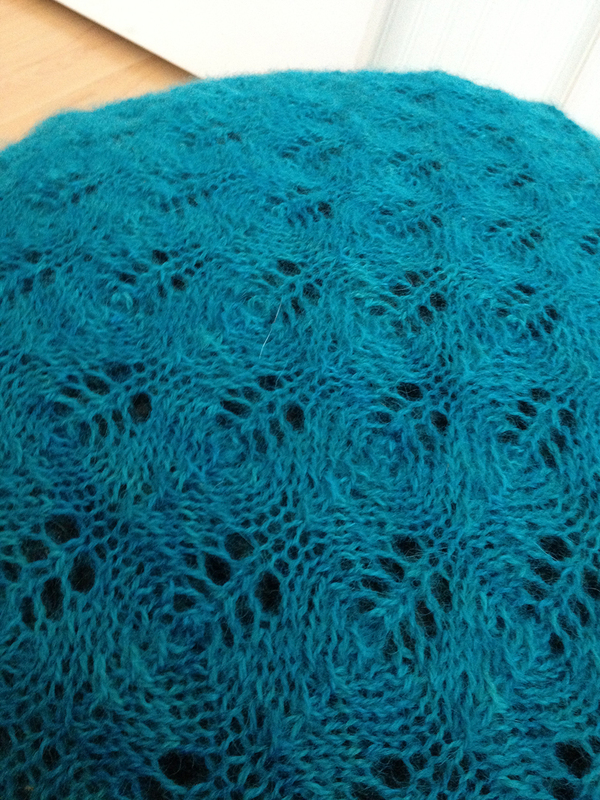 The yarn they surprised me with (from Canadian Alpaca Products) is the softest stuff imaginable, the perfect shade of turquoise and came in a generous 500 yard skein. 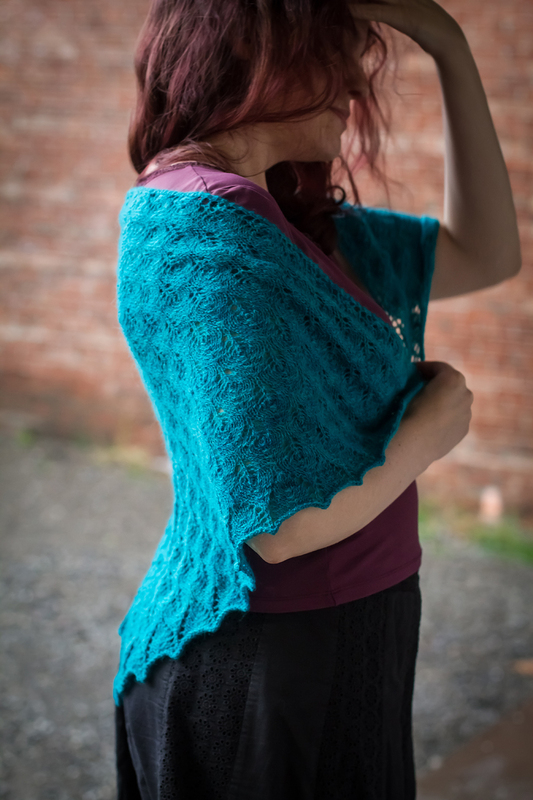 I wanted to max it out, so I went with the Shetland Triangle Lace Shawl by Evelyn A. Clark. The pattern allows you to go as big as you dare, as long as you leave enough for the final chart and cast off. 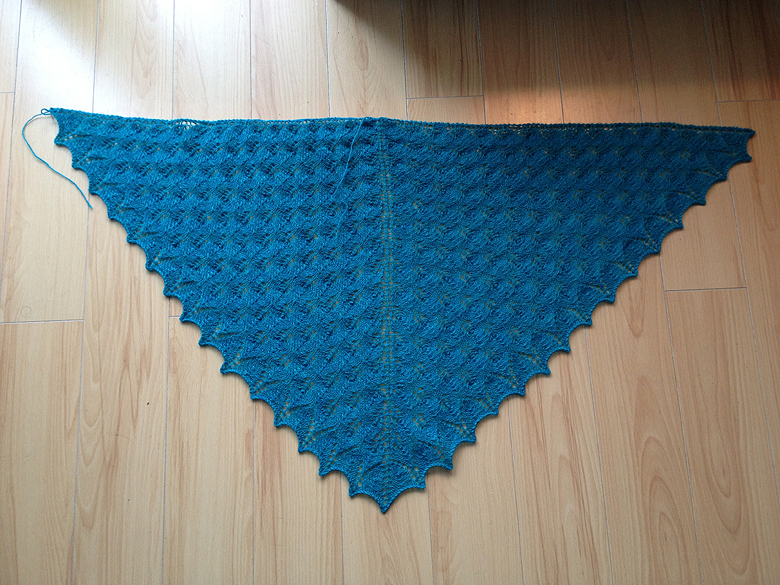 I went 5 repeats more than the recommended size, resulting in a shawl 44 x 22. 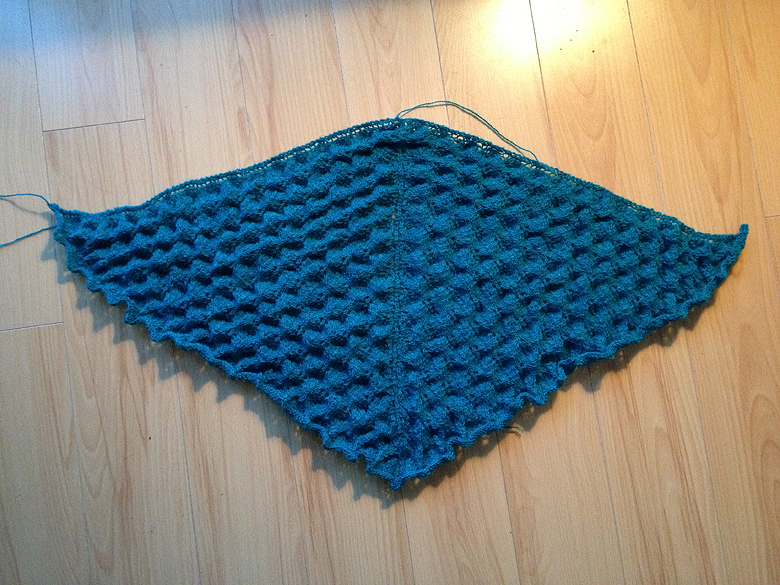 The shawl is so soft and luxurious, I’m already casting on for another alpaca project. Blocking never ceases to amaze. 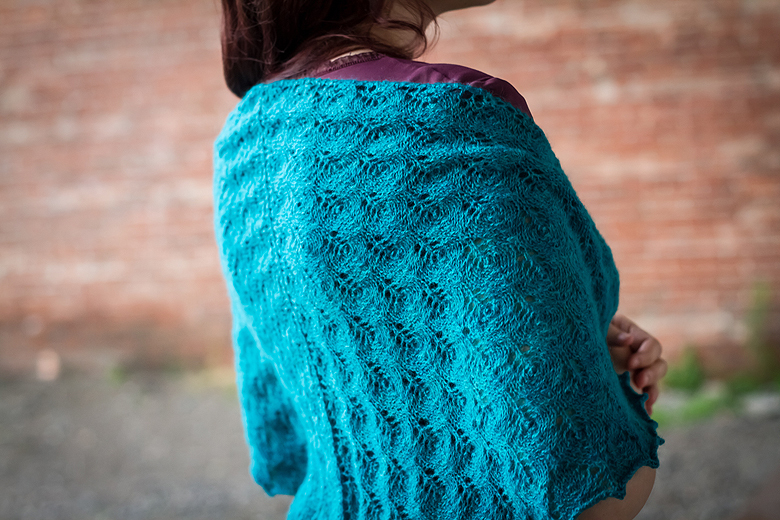 The nature of the lace meant that this shawl opened up a lot. There is nothing like the feeling that your friends really know you. 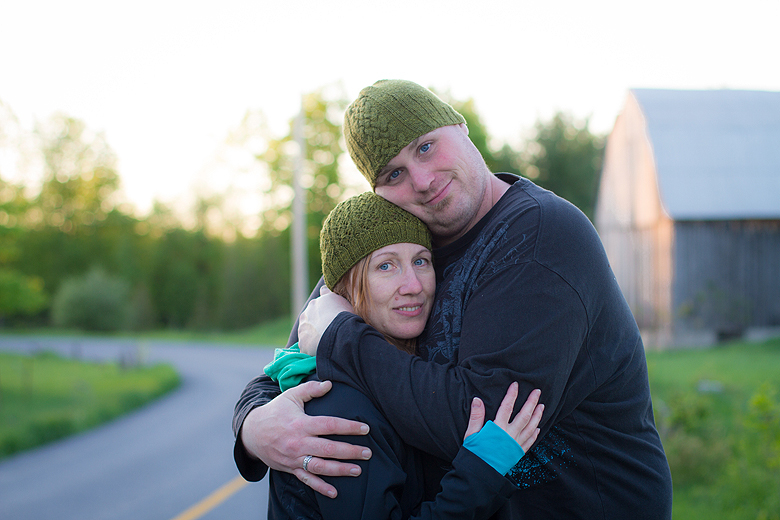 That they bought me a surprise was touching… but that they got me turquoise yarn – I was blown away! What good friends! 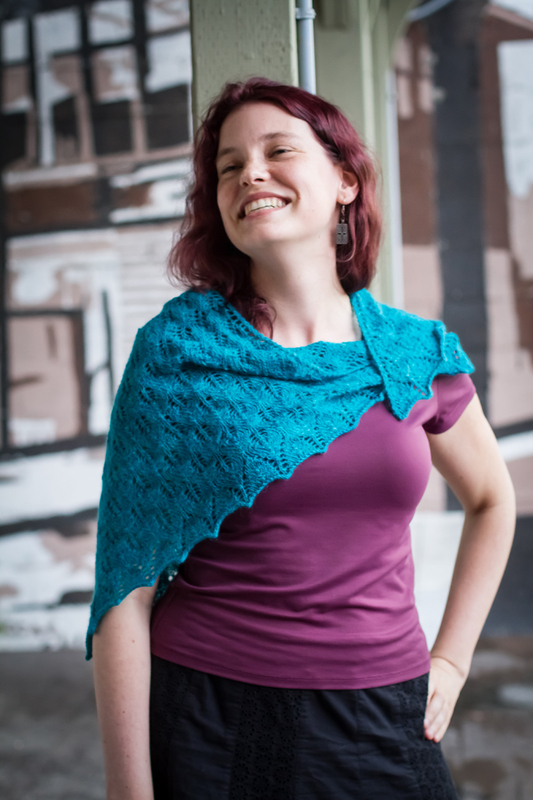 Your shawl is gorgeous and the color will add a beautiful accent to everything you wear it with.